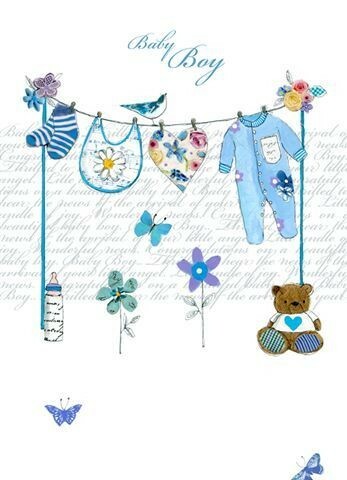 This gorgeous card has been designed especially for us and has the wording Baby Boy printed on the front. 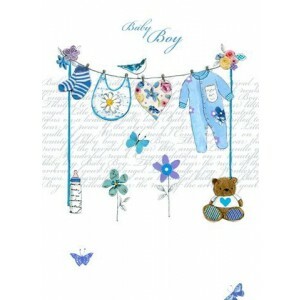 The design is cute washing line with baby boy items. It is just beautiful and a fab card to give to Mum to be at her Baby Shower as a lovely keepsake or for a new baby boy arrival..